High quality product allowing quick and easy lightning up of a BBQ fuel. All You need is to pour the fluid all over the charcoal or charcoal briquette, allow it to soak for half a minute and carefully light it. After a couple of minutes, when the flames go out and the briquette or charcoal cover with a white coating of ash, You may start barbecuing. 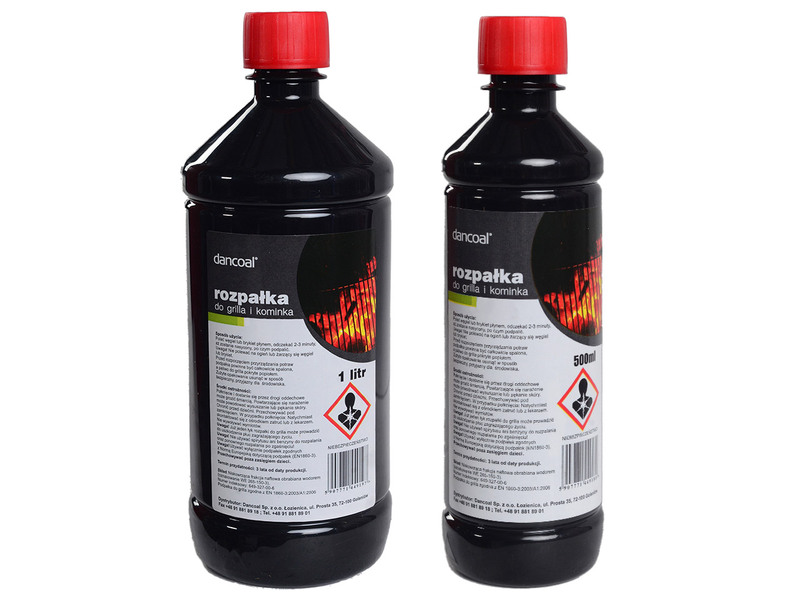 The liquid firelighter is available in two volumes: one litre and half a litre.